Our low cost reseller web hosting plans give you the best chance to start your own web hosting company. Create your own web hosting plans with your own prices and set up web hosting accounts for your customers. You pay us a flat monthly fee, with no setup charges, and all your profit is yours to keep. To get started all you have to do is select the plan you want below - fill out the order form - make the payment. Once you have made the payment and we confirm the payment we will send an email confirmation. One will be for YOUR CPanel, and the other will be for your reseller account (Web Hosting Manager) login info. You will get all login information in less than 9 hours. ArtisHost offers instant activation of your reseller hosting account within hours! No more waiting 24+ hours! We will also host your main domain for free! Your main account domain will not consume part of your reseller resources. You can upgrade at any time free of charge, just contact us. You will not get charged that fee if you upgrade. We'll provide you with direct technical support and billing arrangements. If you want us to provide support to your customers under your name, we can do that for a low monthly fee, please contact us if you are interested in this after you sign up for the reseller plan. If you are a hosting reseller for another company which uses CPanel/WHM and wish to move to us you can use the WHM move accounts option! This will move all your clients data, emails, settings, just about everything! 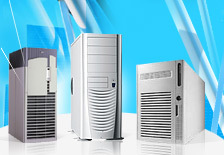 Sign-up for your reseller hosting account now! Your reseller account will be ready today, within hours!